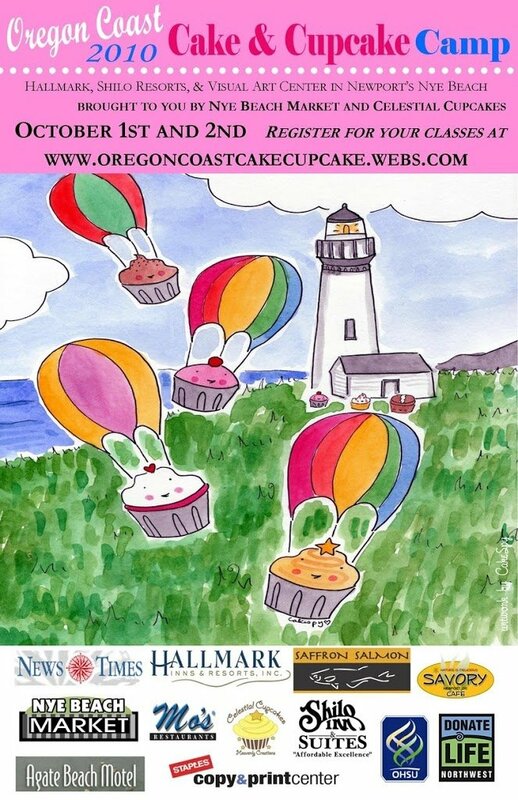 A cake and cupcake camp is happening HERE at the Oregon Coast! I’m thinking I’ll definitely need to check this out. Here’s a link for more information. I wanted to try something new that would be easy to make at my parents’ house and use only a few ingredients, so I decided to try a recipe in my new Yummy Soup! cookbook for my Mac (an awesome application for all you Mac users who like to cook!). Only five ingredients in this recipe- powdered sugar, butter, flour, peppermint extract, and chocolate chips. The peppermint flavor was very subtle, and they had a shortbread texture. I’ve had the pleasure of inheriting her old Kitchen Aid, which still works beautifully and you’ll see many pictures of in the future. 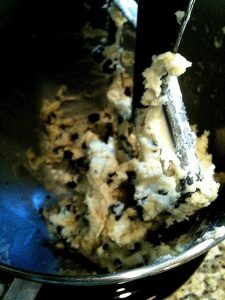 So, to make these delightful cookies start by creaming the butter and confectioner’s sugar. 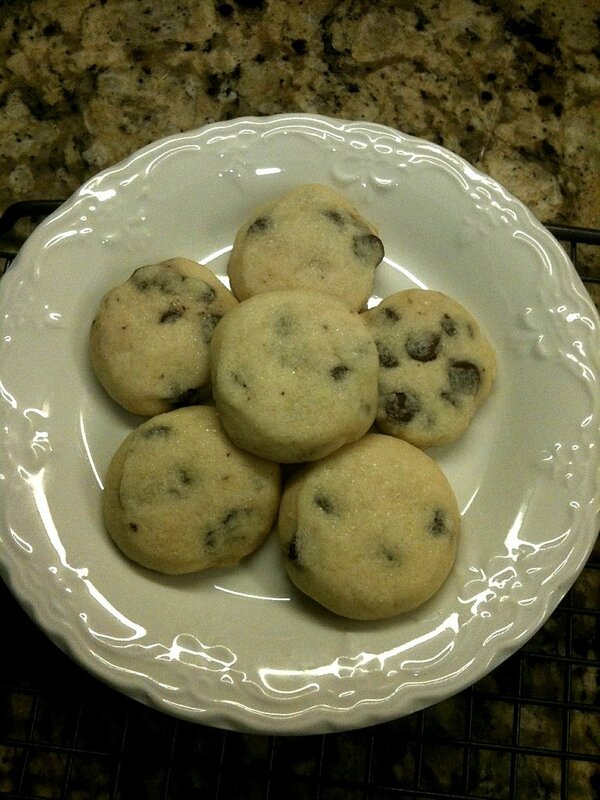 Next, blend in peppermint extract, then gradually add the flour and mix it well, followed by the chocolate chips. 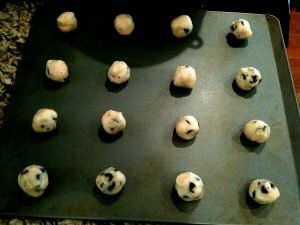 Roll the dough into balls and place on an ungreased cookie sheet. 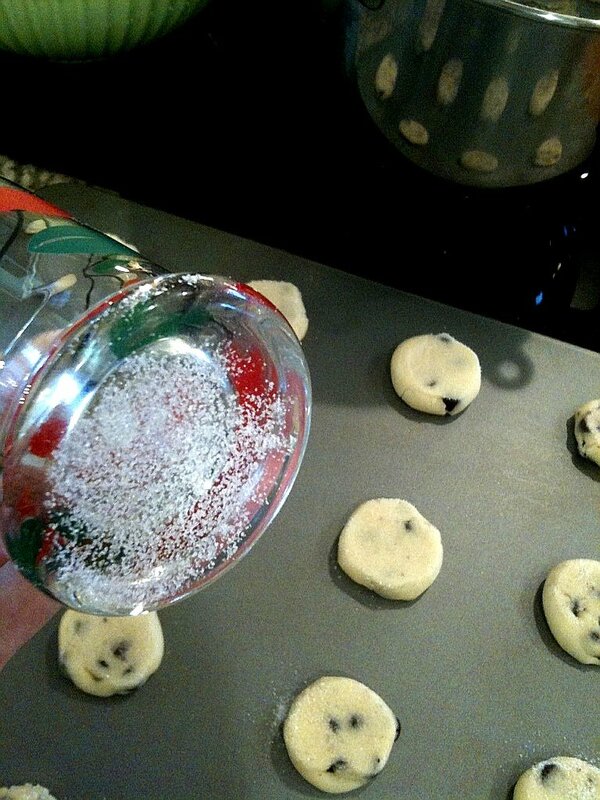 Next, dip the bottom of a cup in sugar (or you could use sprinkles!) and gently press the balls so they’re about a half inch thick. 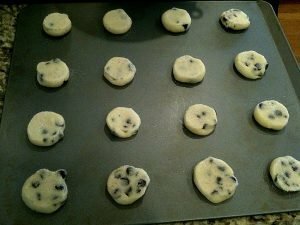 Pop them in an oven heated to 350 degrees for 12-14 minutes, and they’re good to go! I’m very happy with today’s experiment! 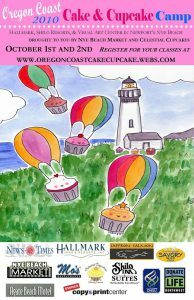 The taste was light and subtle and they took care of my mom and I’s chocolate cravings! 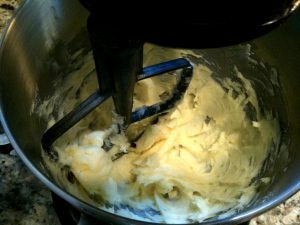 In a large bowl, cream butter and confectioner’s sugar until light and fluffy. Beat in extract. 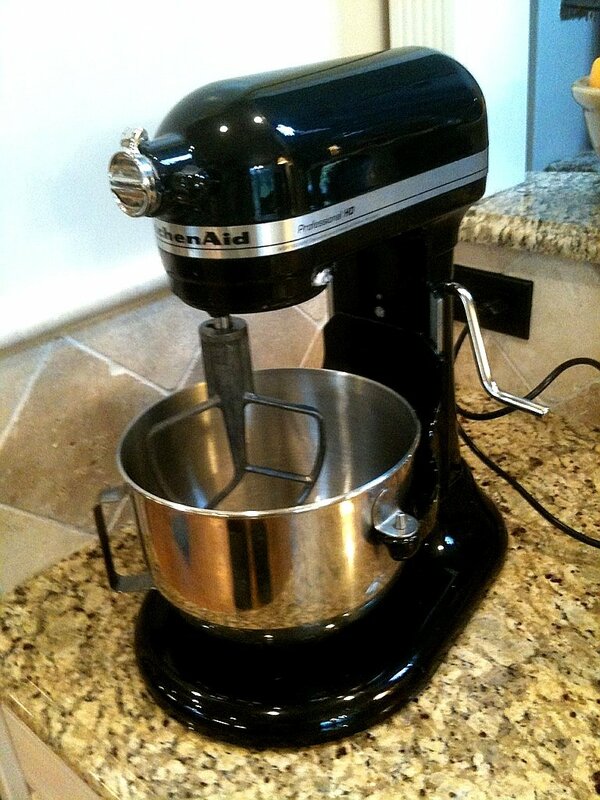 Gradually add flour and mix well. Add the chocolate chips. Roll tablespoonfuls of dough into balls. Place 1 in. apart on ungreased baking sheets; flatten with a glass dipped in sugar. Bake at 350° for 12-14 minutes or until firm. Remove to wire racks to cool.